15 Confusing Things That Boys Do - Just WHY?? 1. Flirts with you and meets you EVERY DAY for a week, then disappears. When he’s back, expects you to act all normal. And then tells you that you shouldn’t be flirting with other people. Then sends you a text saying he had “an amazing time tonight” and to “wish your mom happy birthday for me”. Uh huh. OKAY then. But that he isn’t really ready to commit. And then complains about you being “cold” to him. And then is like: “I haven’t thought of you in that way, I thought we’re just good friends”!! Then takes you out for a surprise Teej function. With his whole family! And then the next day posts a new FB profile picture with “Bae”. 12. Takes you out on multiple amazing dates. Then introduces you as his “friend” to his other friends. 13. Calls and meets you only during the weekends. And then assumes that you guys are exclusive. 14. Tells you he can’t wait to see you again. But NEVER makes a plan. Then hits on a girl who is the complete opposite! Images: Tumblr MUST-READ: 15 Things We Will Just NEVER Understand About Boys!! 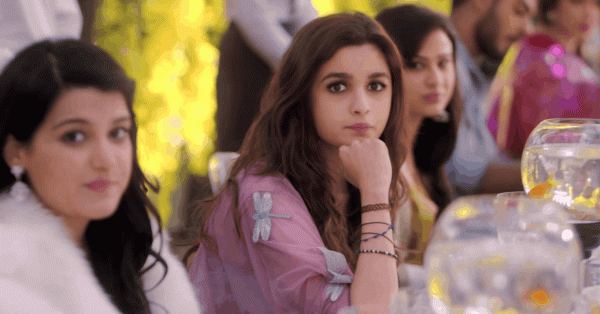 MUST-READ: Things Girls Say When They Are Mad at Boys!